Full mouth reconstruction corrects imperfections that you might believe are just a part of growing older. 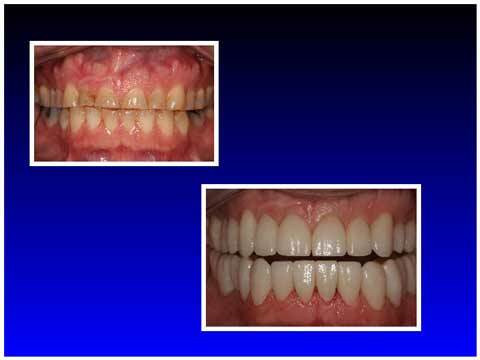 Don’t feel like you have to live with these imperfections, a smile makeover can help you achieve a smile that is natural-looking and attractive. Cosmetic dentistry treatments help makeover your smile and provide amazing results, increasing your confidence and improving your personal and professional life. Not only will full mouth reconstruction eliminate pain and discomfort, but it will also enhance the appearance of your smile. Treat yourself to a perfect smile! Get rid of that pain in your neck or tension in your jaw. By rehabilitating every tooth in your mouth, you will benefit from amazing looks and better health.